A perfectly supportive, wonderfully comfortable quilted pillow. 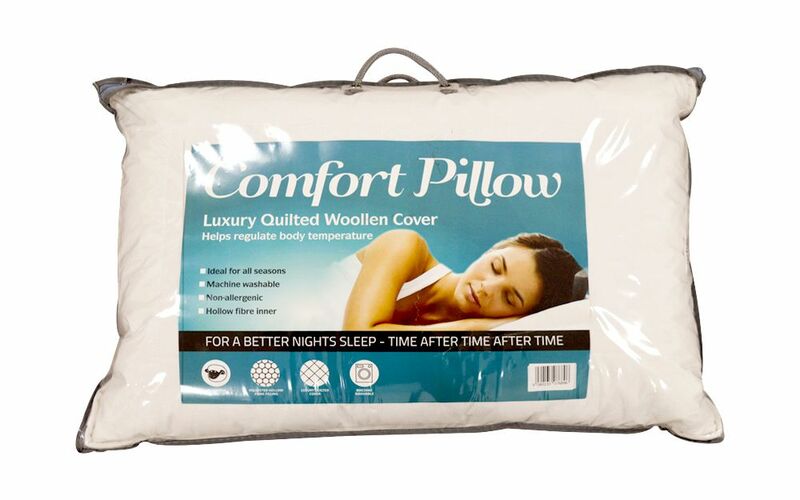 With high quality wool and hollowfibre fillings paired with a cooling cotton cover, this pillow provides excellent heat control as well as vital support for your head and neck. It is machine washable and available with Free Next Day Delivery!